To celebrate 100 years of service to the Atlanta community, The Junior League of Atlanta, Inc. (JLA) announced today three Centennial Grants to local nonprofits totaling $1 million and targeted to assist residents struggling through food insecurity, generational poverty and the effects of sexual exploitation and human trafficking. The Centennial Grants will enable and encourage growth for the next three years in organizations aimed at helping some of the city’s hardest hit communities. The grants were awarded as part of a year-long celebration of JLA’s centennial anniversary and the organization’s impact on Atlanta. Each grant recipient went through a rigorous, three-step application process. For more information on how each organization plans to use its grant, see below. See more about how the Atlanta Community Food Bank will utilize its grant by clicking here. The Generational Poverty Law Project received a $380,000 grant from JLA, and is a 3-year joint venture between Atlanta Legal Aid Society, Georgia Heirs Property Law Center and the Pro Bono Partnership of Atlanta. With its grant, the partners plan to expand outreach to metro-Atlanta non-profits and collaborate to protect homes and families in the Atlanta area. In establishing the Generational Poverty Law Project, the collective hopes to use its work in Atlanta to create a national model for providing holistic legal services to multi-generational families. This collaborative approach will help ensure that metro-Atlanta clients of all three organizations receive the legal help and social services support that make a significant difference. 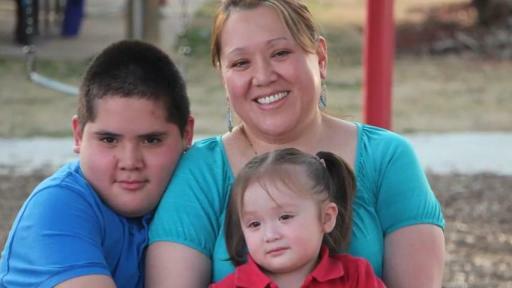 See more about how the Generational Poverty Law Project will utilize its grant by clicking here. See more about how the Institute for Healthcare and Human Trafficking will utilize its grant by clicking here. JLA focuses its volunteer and training efforts on three impact areas in Atlanta: early childhood education, generational poverty and commercial sexual exploitation and human trafficking. Each grant recipient aligns with the League’s mission and is now poised to create an even larger impact. In addition to the monetary award, each grant further deepens the partnership between organizations and JLA by committing additional volunteer hours and support to each program over the next three years. 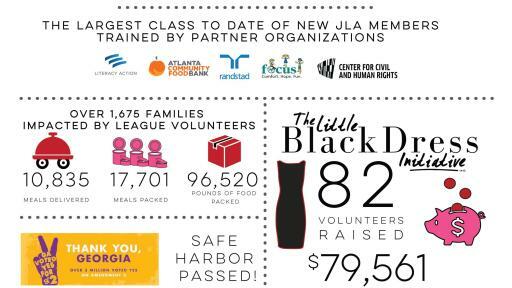 About the Junior League of Atlanta, Inc. The Junior League of Atlanta, Inc. (JLA) is an organization of women committed to promoting voluntarism, developing the potential of women, and to improving the community through the effective action and leadership of trained volunteers. Its purpose is exclusively educational and charitable. Funds raised through the efforts of the JLA are used to aid and support projects and programs of our community partners. In addition, funds are utilized to train and develop our membership to become future leaders of the Atlanta community. Combined, our volunteers and funding have impacted the lives of hundreds of thousands of women and children in the communities in which we serve. About the Atlanta Legal Aid Society, Inc. The Atlanta Legal Aid Society, Inc. provides civil legal services to persons with very low income in Fulton, DeKalb, Gwinnett, Clayton and Cobb counties. Last year, Atlanta Legal Aid attorneys handled more than 20,000 cases involving over 50,000 people, primarily involving housing, family, and senior citizens issues. Begun in 1924 by 17 idealistic young attorneys, Atlanta Legal Aid has meant access to the justice for countless individuals, who might otherwise be lost in an increasingly complex legal system. 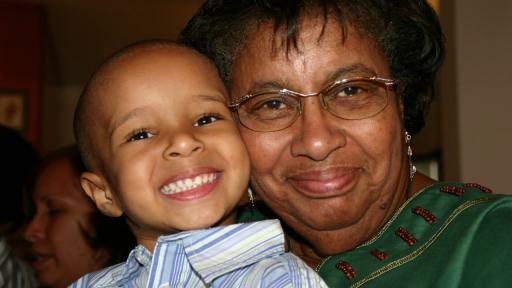 Children's Healthcare of Atlanta (Children's) has been 100 percent dedicated to kids for more than 100 years. 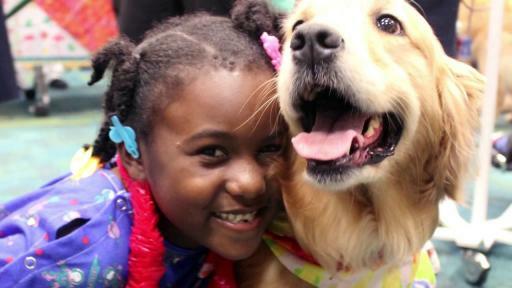 A not-for-profit organization, Children's is dedicated to making kids better today and healthier tomorrow. Our specialized care helps children get better faster and live healthier lives. Managing more than 1,000,000 patient visits annually at three hospitals, 28 neighborhood locations and more than 80 telemedicine sites, Children's is the largest healthcare provider for children in Georgia and one of the largest pediatric clinical care providers in the country. Children's offers access to more than 60 pediatric specialties and programs and is ranked among the top children's hospitals in the country by U.S.News & World Report. With generous philanthropic and volunteer support, Children's has impacted the lives of children in Georgia, the United States and throughout the world. For more information about the Stephanie V. Blank Center for Safe and Healthy Children, visit choa.org.